With recent events weighing heavily on everyone’s minds, discussion has perhaps inevitably moved on to how Apple will fare without its talismanic leader. While Tim Cook will no doubt make for a very capable CEO, can he provide the same insight and eye for a winner as his illustrious predecessor while steering the already massive company to even more impressive results than we have become accustomed to each and every quarter? According to MacRumors, many industry insiders are seeking to quell people’s fears, by reminding everyone just how far into the future Apple’s product lines run. As with all large technology companies, Apple’s hardware, and software releases alike, don’t just get thrown together the week before an announcement. They’ve been in production for years, if not months, and their replacements have been in the prototyping phase too. Chances are, even their replacements are already on drawing boards across Cupertino. 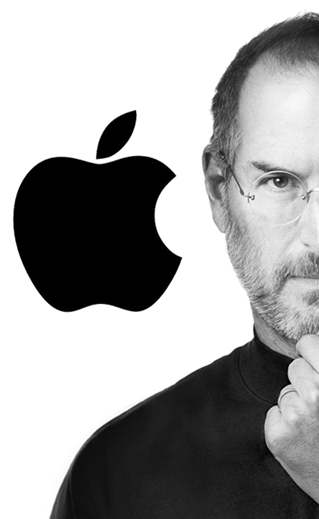 Apple’s roadmap stretches quite a ways into the future, and it all has Steve Jobs’ stamp on it. With that said, it’s perhaps no surprise to anyone that the new iPhone 4S apparently received the Jobs’ seal of approval before it faced the audience, just like everything else we’ve seen in the past during his era. According to Masayoshi Son, president of Japanese carrier Softbank, Steve Jobs played a key role in the development of the iPhone 4S, as well as the releases yet to come. It could well be some time before Apple’s releases are 100% the work of Tim Cook and his team, and they will no doubt be eager to put their stamp on the product line going forward. The real question then, is will Apple’s existing philosophies continue to be adhered to? And another question which you might be asking yourself; will future products from Apple have that Steve-esque touch to it? And more specifically, what about the iPhone 5? Will it inherit the phenomenal futuristic Steve Jobs’ signature design too? The answer to all of these questions might lie in the positive side of the fence. Jobs himself built the team that will continue to push Apple forward over the coming years, and by all accounts, he wasn’t an easy man to appease. If these people, Tim Cook, Phil Schiller, Jonny Ive and Scott Forstall were all chosen by Jobs, the chances are they know what they’re doing. And personally speaking, it’s a dream team which many industries are striving to get their hands on. Good luck fellas, you’ve got a hell of an act to follow.